This is one form it can take. 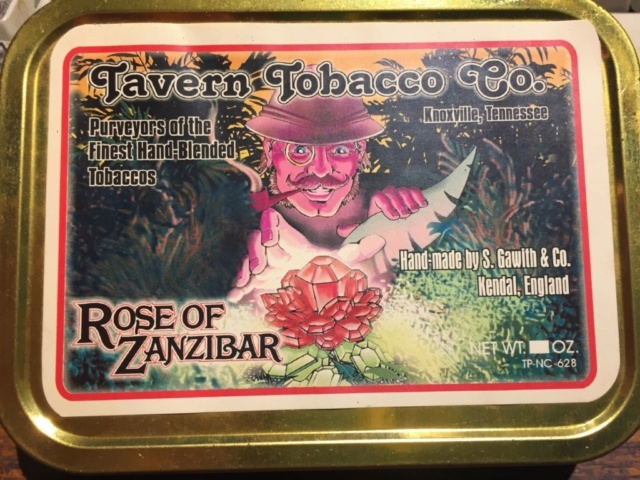 Something in the Tavern Tobacco "Rose of Zanzibar" is similar to that tobacco used in "Bracken Flake". 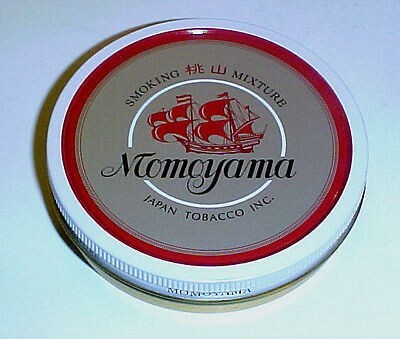 Differing condiment tobaccos. Bracken Flake is more heavily stoved. But there is something shared. I love it, whatever "it" is. This tin had fallen off a stack of tins on the top shelf. 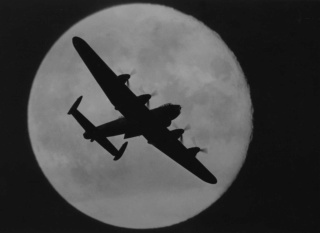 Out of sight. Or it would have been smoked up long ago. Most likely from the last bunch produced and imported. About 2005. Nice! How cool to come across a forgotten treasure. I bet you looked a bit like the guy on the label when you found it. Looks like the Ghost of Christmas Pass visited you! 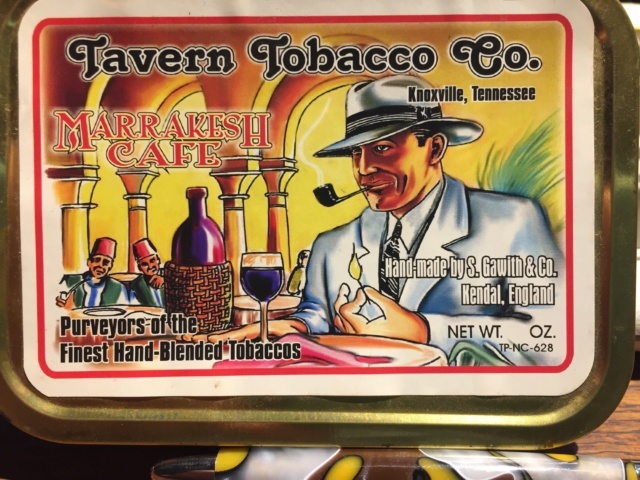 The label is eye catching and the tobacco looks great! A real treasure, Carlos. I too love the label. Lucky it didn't pop when it fell off the shelf! Oh my, Knox cigar seems like a 100 years ago. I learned a lot there when I was just starting off in the pipe world. I miss the weekly chats there. I think they used a yahoo chat room. You never knew who you might find in the chatroom. Johan of Jobert Pipes from South Africa. Lee Von Erck. Oh, just about anyone. Saturday mornings there could be a crowd in there. 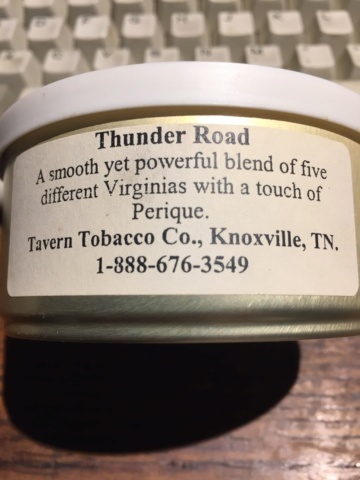 I stopped in at Knoxville Cigar just after they tried to make the Cigar Bar thing work. They had a really nice place in the old town area. But the economy started going to heck at just the wrong time for them. That meant, of course. That it was not possible to have more blends made for them. Their Internet sales dwindled. When you are out of stock on about everything, hard to sell things. Yeah, some great labels. Good times. I still have a tin of this little treasure. Blackhorse, I sampled some of that once when I first started smoking a pipe. From what I remember it was pretty good stuff. I haven’t thought about that blend in a long time. Like others have said, that tin art is amazing and is appropriate for a newly discovered lost tin. Enjoy! Call me crazy, but sometimes I'll buy a tin of tobacco just for the artwork on the can or the name of the tobacco! 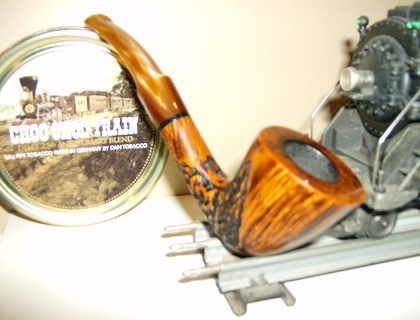 By the way, the tobacco is by Dan, the pipe is a Butz Suvane, and the train is Lionel! 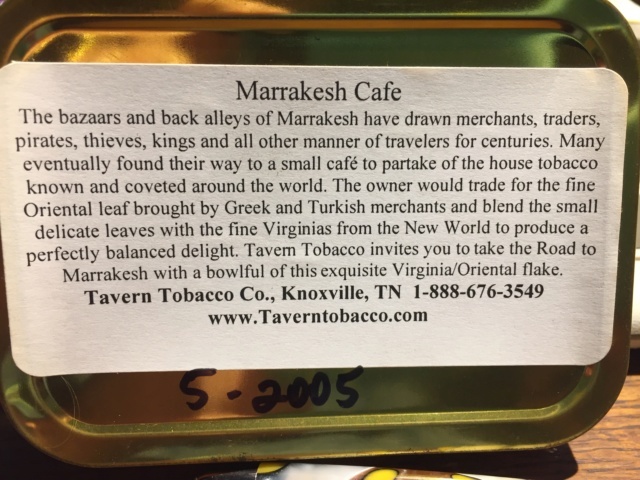 Nice archived tobacco! Those were the days, eh? Yah, well, maybe not all the days. Still a great find! Congratulations! Momoyama was a good blend. Always seemed to be hard to get. It still is, if you’re ever in Japan! Or at least it was when I was over in ‘14, scored a pouch of it and really dug it. And that looks great, Carlos, hope you’re enjoying the hell out of it! Wow, Carlos...that brings back memories of the daze when so many of us first started hanging out on the KCC board. 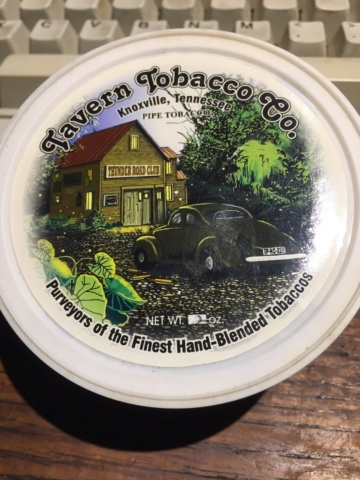 I prolly tried most of the Tavern Tobacco blends, but I seldom bought 'em in tins...bulk, mostly. I've still got a bunch of 'em too. One of my faves is Boar's Head. That partnership between KCC and SamGaw produced some great weedages! I guess it's time to go rooting around in the cellar to see what treasures I can find. Carlos, I ordered from them by phone a couple times. They were always friendly when I called to order stuff. There was one guy there that would chit chat on the phone if they weren’t busy. He asked about Reelfoot lake and the hunting and fishing there. I’m about 20 miles from there. I chatted with Johan from Jobert pipes several times. He was a awesome guy and pretty funny too. I ended up with a Olive wood pipe from him. It’s a great smoker and have smoked it several times since returning to the briar. I remember Kirk Bosi, Mike Brisset, Greg Pease and several others that hung out there. Does anyone know what happened to any of them? The last time I talked to Johan he wasn’t in great shape. I tried to locate Bosi a couple weeks ago and couldn’t find his web site. Would it be a good idea to start a separate thread about the whereabouts of past members of the Knox board? If anyone was interested. 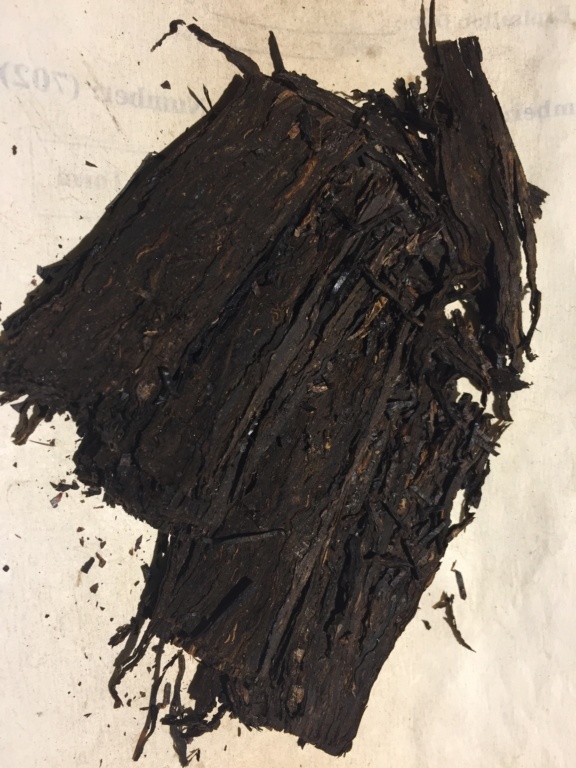 Tavern Tobacco Laurel Flake is my grail tobacco. Best Va/Per I've ever smoked. Definitely brought back some good memories with this post Carlos! Mine would be Bufflehead - Merganser Decoy and now I'm missing a couple of the Nording blends by McClelland, especially Labrador and Beagle. I should have bought more of them. When I am smoking this, I need to smoke it in my Castello. Because the bit will stand up to me chewing on it.